Have I told you how much I love my Activity Days calling? I love it, I think these girls are so fun. Ages 8-11 has got to be great for parents because they are still young enough to be kids and appreciate things but old enough to play games, do crafts and in general enjoy life with you. 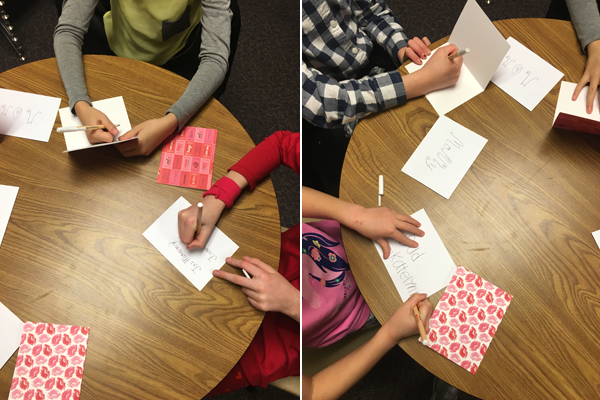 For our valentines day activity we followed the lesson Mormon Activity Days blog thats all about learning about your love language. 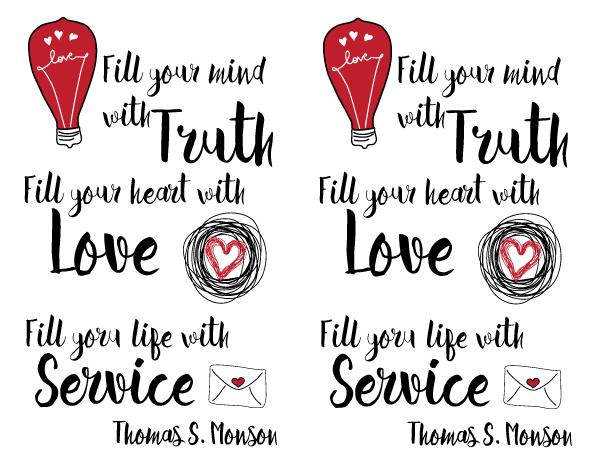 I was surprised that none of the girls had heard about love languages before, and it was fun to teach them. It was interesting to see what their love languages were. We made sure they took their quiz with results home to their parents. 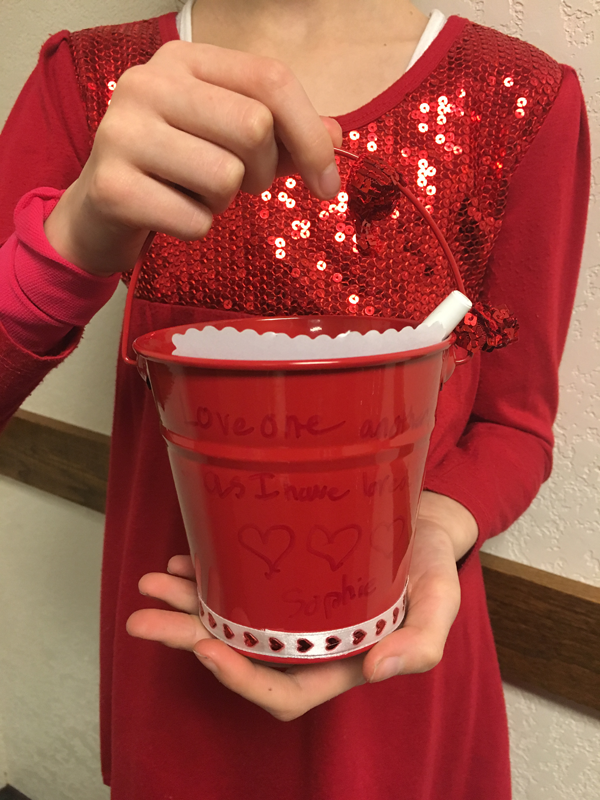 For our activity we made "love buckets" and wrote notes to someone they loved. 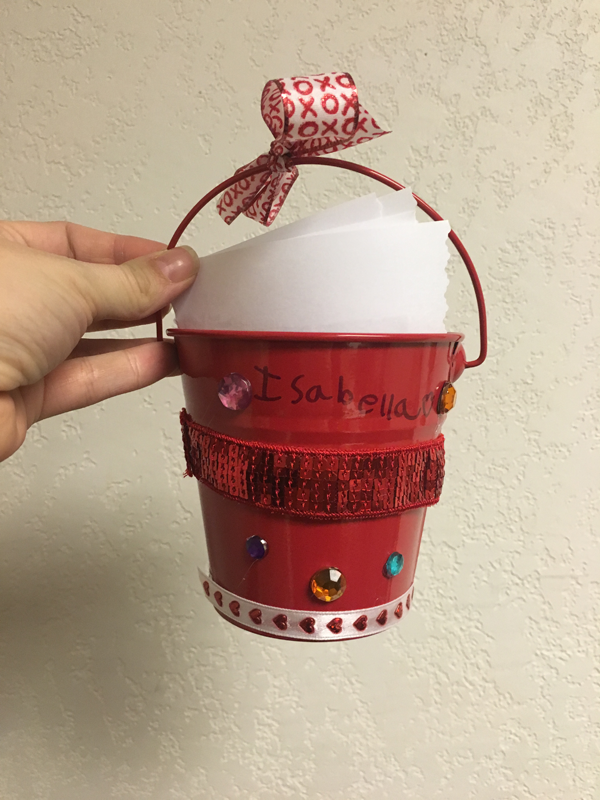 The girls had fun decorating their buckets with gems and valentine ribbon. Whenever there is a hot glue gun involved I use and have them show me where they want things glued, I'm still not willing to let them use it on their own! I made the below handout for the girls' binders. You can download it HERE, and to see the post all about the binders click HERE. If you use it let me know! 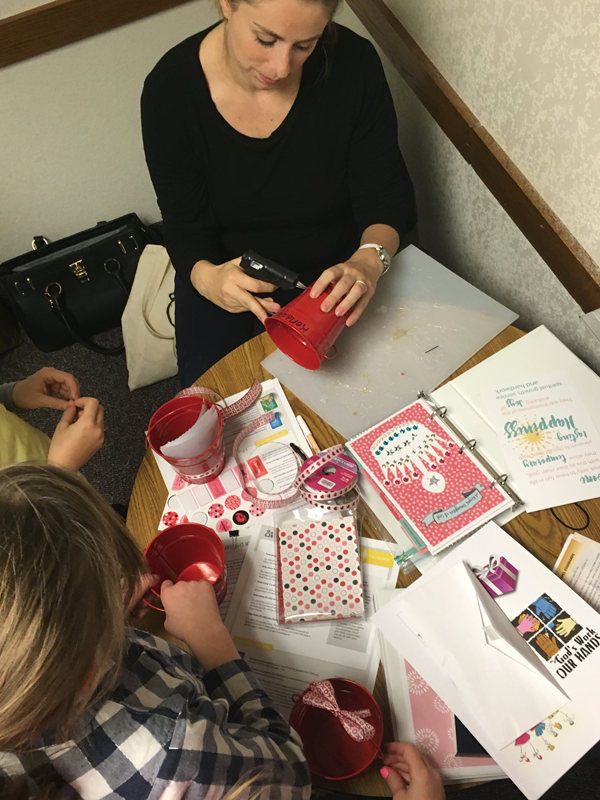 I love to hear that people are enjoying these printables! Leave a comment :) Need to save it for later? Pin the image below! love the cute handout! Thanks! This is adorable! Thank you! Excited to use this tonight! We are doing a love bucket and I was searching for a lesson and found this thank excited to talk about love languages tonight! Darling idea! I tried printing the love quote but it only prints in black and white. I have my printer set on color. And YOUR is spelled wrong "Fill yoru life with service"
You will see links to products and services that I recommend on Raising the Modern Kid, some of those may be affiliate links. An affiliate link means that I make a percentage of the sale if you click over and buy the item I recommend. I would never recommend anything that I don't love! Thanks for supporting this blog by reading, clicking, and enjoying the content I create! © 2015 Raising The Modern Kid. Felicity Template designed by Georgia Lou Studios All rights reserved.